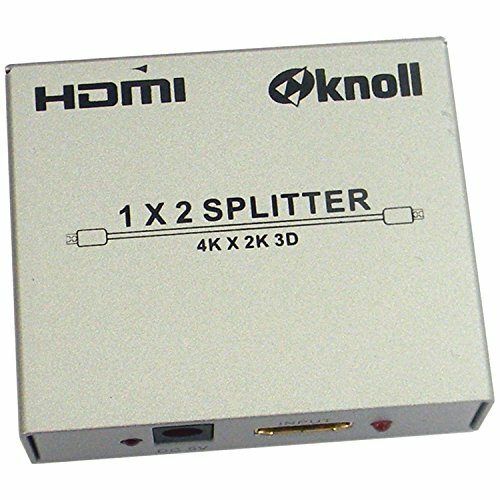 When you need to split and amplify HDMI signals, this Knoll Systems 4K HDMIDistribution Amplifier is designed to give you the features you want for maximum-quality video. 4K support, 32 bit Deep Color and multiple digital audio formats allow for fantastic quality on any signal you send through it. With the advent of 4K television, you need equipment that allows you to use the full technology. Get it with this Knoll Systems amplifier. If you have any questions about this product by Proficient Audio Systems, contact us by completing and submitting the form below. If you are looking for a specif part number, please include it with your message.